Find Better Ideas, Faster ® with a custom medical advertising trend report, our PRO Dashboard and 80+ categories of premium trend reports. 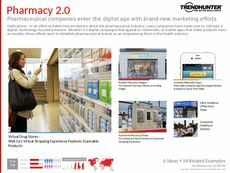 The Medical Advertising Trend Report looks at the various methods and strategies used by the healthcare industry to get its message across. In an extremely saturated media and marketing landscape, the medical community has been forced to compete with consumer brands for attention. This report delves into examples of striking medical advertising, including bold visual effects as well as eye-opening and realistic imagery. Furthermore, humorous tactics have also been used, attempting to draw awareness to important health issues lightheartedly. This report is geared towards healthcare professionals , health advocacy groups, marketers and advertisers. 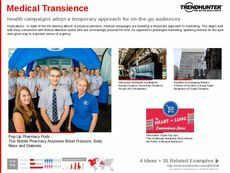 This report has compiled the latest and most innovative medical health advertising examples, shedding light on the most successful and ingenious campaigns. 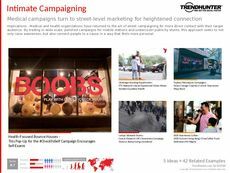 Use Trend Hunter's crowdsourced data to find out where your brand or business can fit within this field. 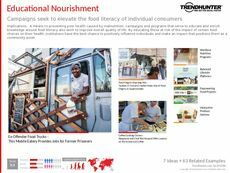 Whether light or serious in tone, the Medical Advertising Trend Report makes the importance of socially-conscious and health-focused ad campaigns clear.